Strange things start to happen if you can trace your family back far enough, and if you can find a thread which is, let’s be honest… posh. 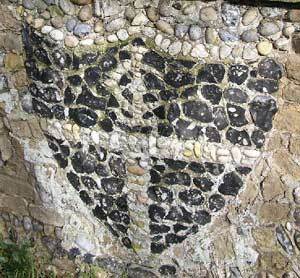 John Cardinall’s arms in Tendring – he’s related to all these people too. By Roger W. Haworth. In trying to work out the family of my 6 x gt-grandmother, Elizabeth Cardinall (1741-1803), I’ve been studying the Cardinall family. I think her father was William Cardinall of Arlesford, which makes her a descendant of Charles Cardinall (?-1624) and his father, William Cardinall (1509-1568). 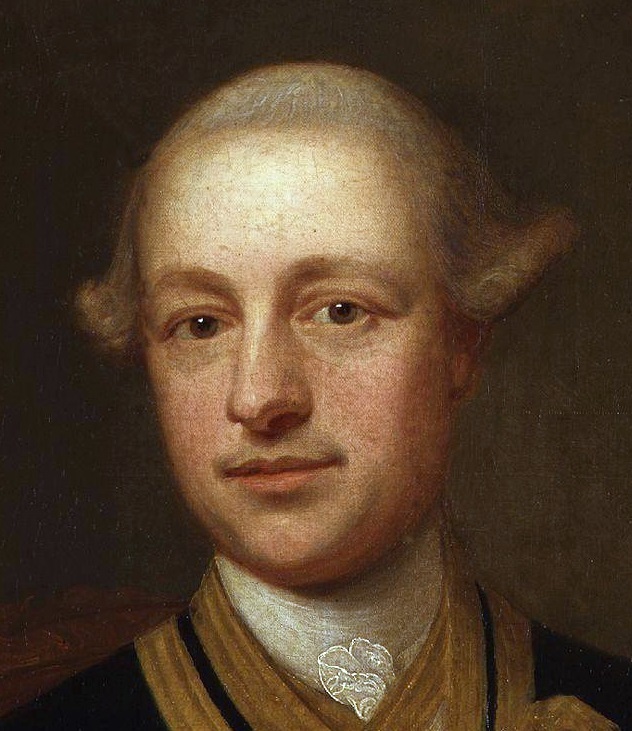 I’ve been putting together the various strands of this family, and it means that, through Elizabeth, I’m connected to Sir Thomas Bowes, Admiral Nelson, P. G. Wodehouse, the Walpoles… shall I go on? What’s amusing about this is that because Elizabeth Cardinall is the ancestor of vast numbers of quite ordinary people who can trace themselves back to villages on the River Colne, such as Fingringhoe, Rowhedge and Wivenhoe, it means that a huge number of people are, in fact, related to some rather grand people who, if you’re a wheelwright, builder or a librarian or an accountant or a plumber or a gamekeeper, may come as a rather enormous surprise. So let’s start with…. You might not have heard of him before, but this Great Bromley resident is an infamous character in the puritan-led witchhunts of the 1640s. He was a Justice of the Peace in the Tendring Hundring, and when Matthew Hopkins started to identify witches, it was Sir Thomas Bowes, with the brilliantly-monikered Sir Harbottle Grimston, who helped to prosecute the women. Bowes was even a witness against some of the accused at the trial in Chelmsford – in other words, he was instrumental in sending certain women to their deaths at the hands of executioners. He pops up on several occasions in Malcolm Gaskill’s excellent Witchfinders. Bowes was probably born in East Bergholt – the parish register for that period has been lost, but certainly he appears in his father’s will. His mother was Bridget Starling, and after her husband’s death, she married again, becoming the second wife of Charles Cardinall (?-1624) in 1601.1)Married in Little Bromley. So Bowes is a half-gt-several-times-uncle of Elizabeth Cardinall. Charles Cardinall’s sister, Joan (in some sources, Jane) was first married to Robert Vesey of Wix. Robert died in 1575.2)According to Morant’s History of Essex, Vesey died on 4th July 1577, but the burial register for Wix says “Mr. Robert Veasey was buried at Markeshall” on 8th March 1574/5. J. Yellowly Watson further confuses things in his Tendring Hundred in the Olden Time by saying that Robert died in 1557. On 19th November 1577, Joan and Robert Suckling of Norwich (1520-1589) obtained a marriage licence from the Bishop of London’s office, and on 2nd December, Joan and Suckling married at Great Bromley. Two years later, Charles Cardinall would marry one of Joan’s step-daughters, Elizabeth Suckling: in other words, Charles married his step-niece. Suckling was from a well-heeled family – in fact, the house he occupied in Norwich still stands to day, the home of Cinema City. His family had long owned property in Woodton, Norfolk, and Robert built Old Hall there.3)From Burke’s Commoners. He was a representative in parliament for Norwich in 1570 and 1585. Joan had already had several children by Robert Vesey – she had two more with Robert Suckling: Charles and Christopher. Burke’s Commoners says that Christopher was “of Wix”, so at some point moved down to Essex where his mother had originated. Robert had had three sons by his first wife, Elizabeth Barwick: Edmund, who became the dean of Norwich; Robert, a Catholic exile in Campania, Italy, and Sir John (1569-1627).4)Entry for John Suckling at History of Parliament It was John, a secretary of state under James I, who had male heirs.5)The National Archives have a chancery record from 1602, John Suckling versus Joanna Suckling, Christopher Suckling and Thomas Suckling. 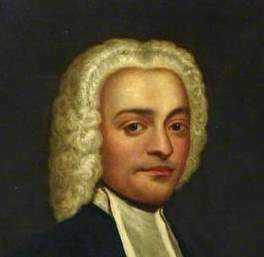 They are disputing “Manor of Newton by Norwich (Norfolk) and the rectories and parsonages impropriate of Newton aforesaid, Trowse and Eaton (Norfolk) lately belonging to Robert Suckling”. TNA ref: E 134/44Eliz/Trin1 When John died in 1627, his son, another Sir John Suckling (1609-1641), was his eldest son and heir. Known as the “cavalier poet” and serving as an MP in the Short Parliament, he was the darling of Charles I and his wife Henrietta Maria – unsurprisingly enough, he had to flee for his life to France. 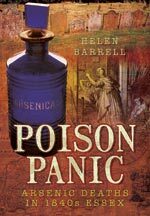 How he died has been lost to time, but it is thought he poisoned himself. It is a huge irony that a “cavalier poet” and friend of the king is related to a puritan like Sir Thomas Bowes, but there we are…. 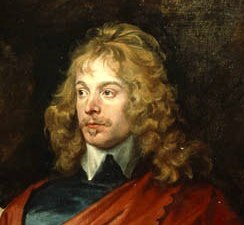 Having had no time to get married and sire an heir, and presumably because his brother Lionel had died by this time, Sir John’s heir became his uncle (half-uncle, technically) – Charles Suckling, the first son of Robert Suckling and Joan. Charles Suckling died in 1644, and his heir was his eldest son, Robert (1602-1690). Robert married Anne (1617-1653), third daughter of Sir Thomas Wodehouse (1582-1658). Her mother was Blanche Carey (1585-1651), daughter of John, Lord Hunsdon (1556-1617). And this is where the Boleyns come in – and possibly another king. Put your hand up if you’ve ever read Philippa Gregory’s novel The Other Boleyn Girl, or seen the film based on it? (starring Scarlett Johansson (looking somewhat bored), Natalie Portman (doing a brilliant execution scene), and a pre-famous, rather awkward Benedict Cumberbatch). 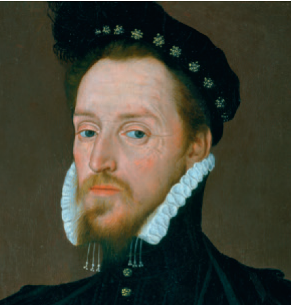 Well – John Carey’s father – Blanche’s grandad – was Henry Carey (1525-1596). His mother was Anne Boleyn’s sister, Mary, who was married to Sir William Carey. Officially, Henry was William Carey’s child – but there was rumour that he was in fact the son of Henry VIII. The evidence does seem rather strong – after all, he is called Henry, and just check him out in his portrait: he certainly has a look of the king who loved weddings almost as much as he loved jousting. He even has a look of Elizabeth I about him, but then again, she was his first cousin, if not also his half-sister. Therefore, by marrying Ann Wodehouse, Robert Suckling had possibly married a descendant of Henry VIII. If we move the focus from Anne’s mother’s family, to her father’s, we find our connection with P. G. Wodehouse. Anne’s brother Philip (1608-1681) is the 5 x gt-grandfather of novelist P. G. Wodehouse. 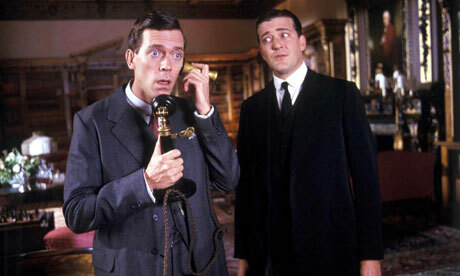 Known as Plum, and famous for his Jeeves and Wooster novels, he is seen by some as the foremost comic novelist of the twentieth century. And he’s related to the Boleyns and Horatio Nelson. What ho, indeed. The Sucklings are related twice over to the Walpoles – and once you’re related to the Walpoles, you’re related to the Dukes of Devonshire and the current royal family (though mainly I’m impressed that it means I’m a very distant relation of the builder of gothic masterpiece Strawberry Hill House!). Yet another Robert, the only son of Robert and Anne, had three sons (Robert, Maurice and William) and a daughter (Lucy). Robert was his heir, and Maurice took holy orders, becoming prebendary of Westminster. Maurice married Anne Turner, daughter of Sir Charles Turner (1666-1738), and his wife, Mary. Mary was the daughter of Robert Walpole (1650-1700). Mary was, astonishingly, one of nineteen children. Her brother Robert (1676-1745) was Prime Minister from 1721-1741 and 1st Earl of Orford, and another of her brothers, Horatio (1678-1757) was a member of parliament for fifty-four years and became 1st Baron Walpole. According to Burke’s Commoners, Maurice and Anne had three children: Maurice (1726-1778), William and Catherine (1725-1767). Maurice junior joined the Royal Navy, and married another Mary Walpole, niece of Horatio Walpole (1678-1757). Catherine married a vicar, called Edmund Nelson. They had several children, one of whom was named Horatio, after her relative, 1st Baron Walpole. She died in her 40s, and her distraught husband struggled with their eight surviving children. 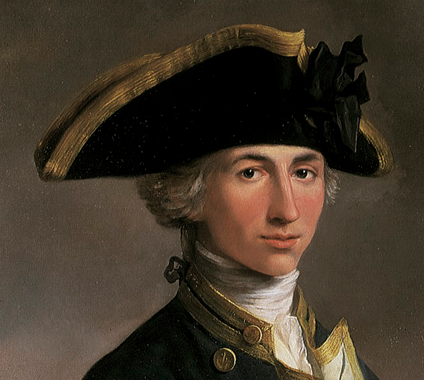 He asked his brother-in-law to help, and Maurice took Horatio Nelson onto his ship. And you know what happened next…. The dashing young Nelson, in one piece. The genealogical amusement don’t stop there: Nelson’s daughter Horatia (1801-1881), by Lady Emma Hamilton, married Philip Ward, a vicar, and they had ten children. One of Horatia’s descendants was Mille Anne Fenning, whose husband’s cousin was Hunter S. Thompson. So should you ever be asked what links humorous English novelist P. G. Wodehouse and gonzo journalist Hunter S. Thompson, it’s… Horatio Nelson. I’m always wary of people making grand claims in their family trees – but if you work back far enough, this will usually be on a well-heeled line, where wills and manorial records, Visitations and the work of Burke help to fill out the gaps and uncertainties from just using parish registers. And the likelihood is, this is precisely where the celebrities of yore will be found. I can claim (grandiose, daft and distant, but no less true for that) to be related to all the people above – to Nelson and Sir Thomas Bowes by blood, and to Elizabeth I, P. G. Wodehouse, the Walpoles and Hunter S. Thompson by marriage. This seems rather impressive, but then finding this connection through Elizabeth Cardinall makes it rather unimpressive – she generated a huge number of descendants, all of whom can claim the same thing. For instance, Cindy Lilley, who has taken some of the photos on this website, is a descendant of Elizabeth (twice over, no less, thanks to the marriage of two cousins), and Arny Webb, who has provided some of the transcriptions for this site, is descended from one of Elizabeth’s Cardinall cousins. Sometimes, when I talk about my research, people can be quite sniffy and trot out the line “but we’re all related to each other anyway – what’s the point?” Yes, I know this – but what fascinates me are the stories that tie us all together; what excites and entertains me is following the shadows and tenuous threads. Digging about through different sources, scribbling ad-hoc trees on notepads and diving in and out of wills just in case I find a mention of someone, knitting together threads that were previously dangling, is what I do when other people are scratching their heads over crosswords and sudokus. And the next time someone behaves as if they’re grander or better than you by mere virtue of their birth, just bear in mind that probably, somewhere in your family, though you may not have found them yet, you might also have poets and novelists, admirals and witchfinders, kings and queens. To quote a very distant cousin of mine: toodlepip! 1. ↑ Married in Little Bromley. 2. ↑ According to Morant’s History of Essex, Vesey died on 4th July 1577, but the burial register for Wix says “Mr. 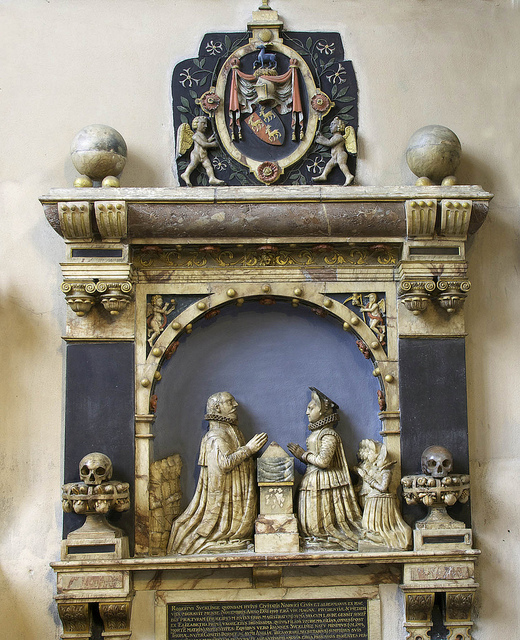 Robert Veasey was buried at Markeshall” on 8th March 1574/5. J. Yellowly Watson further confuses things in his Tendring Hundred in the Olden Time by saying that Robert died in 1557. 3. ↑ From Burke’s Commoners.